THIS COMPANY IS NOW OUT OF BUSINESS!!!!!!! Like many other pet owners, I spend quite a bit of time worry about my dog. Are her toys safe? Did she get a hold of something she shouldn’t in the kitchen? In a way, owning a puppy is a lot like having a small child in the house. What can be even more worrying with dogs, however, is how quickly they grow. One of the biggest concerns with owning large breed puppies is having to make sure they don’t grow too fast. If larger dogs grow too quickly, it can lead to bone and muscle development issues later in life. For this reason, I am always trying to find the perfect food for Reya – one that is filled with all-natural ingredients and designed especially for dogs like mine. Through my search, I came across a brand of food that claims to do just that – Petbrosia. Curious, I reached out this all natural pet food company and was excited when they asked if Reya would be willing to review their food, as mixed and designed just for her breed and age! Part of what makes Petbrosia stand out when compared to other pet food is not only the ingredients used in making their food, but the care that goes into each of the foods they send out. Their food is formulated not only based on your dog’s age, but their breed and lifestyle. Obviously a puppy is going to have different nutritional needs than a five year old dog, even of the same breed. 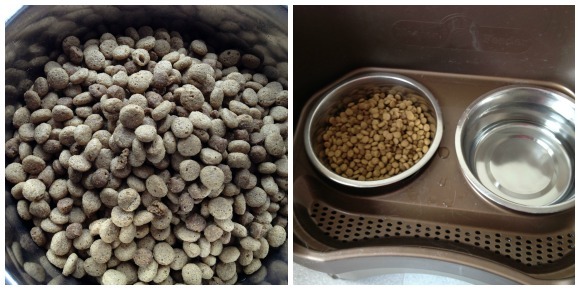 This has always been one of those areas that baffled me with dog food. How could a food designed for all dogs be equally good for indoor Yorkies and high-activity Alaskan Malmautes? The honest answer is: they aren’t. If you want to truly have a store-bought food and take care of your dog’s needs, you better be ready to buy a variety of supplements. In the end, you may be paying more than if you just bought high quality food up-front. When I first signed up for the Petbrosia program, they asked me quite a few questions about Reya, inquiring about her breed, weight, age, allergies, and even her favorite foods. All of this is taken into account when formulating her food. When it’s finished, they show a full write-up of their recommendations (including portion size!) and let you see all the ingredients in your dog’s food. From there, they ship out your food and also give you a recommended reorder date, just to make sure you don’t accidentally run out. So you can get an idea of the food yourself, I have a picture below of the dry food that was recommended for Reya. This food is actually a bit smaller than the last food I had Reya on, but has a much milder smell. While it obviously has a bit of a smell, it is nothing like most dog food and isn’t unpleasant. As an owner of a dog that is very food motivated, I have to tell you – nothing was cuter than the reaction from Reya the first time we opened this food. As I was opening the food for the first time by the door, she was watching with pure excitement, leading to us watching her doing cute little hops. From the moment she smelled this food, she was in love! The biggest issue we had with the food was the fact that she kept trying to steal the bag when she was outside of her gated area, wanting to carry it off and finish the whole bag on her terms! Saying she loved this food really is an understatment. The only other food item I have seen her love this much is her homemade treats. Having always had Reya on high quality food, I wasn’t for sure what to expect from her food. What I noticed after two weeks on this food, however, was that she her coat was shinier after brushing. It had a beautiful shine that just seemed to last. In our pictures, you can’t really see it so well since she is shedding heavily lately, but her fur is just so soft and silky right now. As well, I have seen no tartar issues on her teeth, which are as sparkly white as ever. From what I have seen, Reya has given this food her seal of approval! Since I have been fussing over Reya’s food since she came, I can’t tell you how much this food surprised me. Its rare you find a food with this many great ingredients, especially a dry food! Best of all, Reya looks amazing and looks forward to her food every morning. With the great results we have seen with this food, I may very well stick with it. Reya just seems so happy on the food and it’s the first time I’ve actually seen slow down and ENJOY her food. For this reason, I am happy to get Petbrosia an A+ rating! Want to try Petbrosia for yourself? We were so impressed with this food that we purchased another month’s supply, after the review sample we received. Reya’s fur looks so healthy and we seem to have fewer messes coming out the other end than we did on her old food. If your dog is anything like ours, we think you will truly be impressed with the results! To make purchasing your first bag cheaper, Petbrosia is offering a special coupon code for our readers, where you can receiver 25% off your first order as long as you use this coupon code – RBEU25. Disclosure: Budget Earth did not receive compensation for this review but did receive free product from Petbrosia for review purposes. All opinions on this product are my own and may differ from our readers’ opinions. Would you like to have your products featured in a similar giveaway event? Want to increase your social media exposure before the holiday season? See howwe can help! Contact budgetearth@gmail.com to see what we can do for your company! I have read about other healthy dog foods but I have never heard of Petbrosia. I have a lot to learn but the ingredients in this food looks amazing. The pictures of Reya are soooo adorable. I am such a sucker for animal pictures. Please post more! I have never heard of Petbrosia before reading your review. It is nice to know that there is a company that makes food just for different breeds according to their weight, age, and even favorite foods. I will check out there website. Thank you for the information. I have been curious about Petbrosia. We have 5 dogs so the food we feed them has to be economical. My five Treeing Walker Coonhounds (and three cats) are my babies, and I worry about them, too. There are so many inferior quality foods on the market, and I want to give my dogs healthy meals. Petbrosia sounds like a great company and I'm anxious to try feeding my dogs their food. I wasn’t for sure what to think at first, Linda, but there food really is amazing. The biggest change for me was seeing how much Reya enjoys her food. 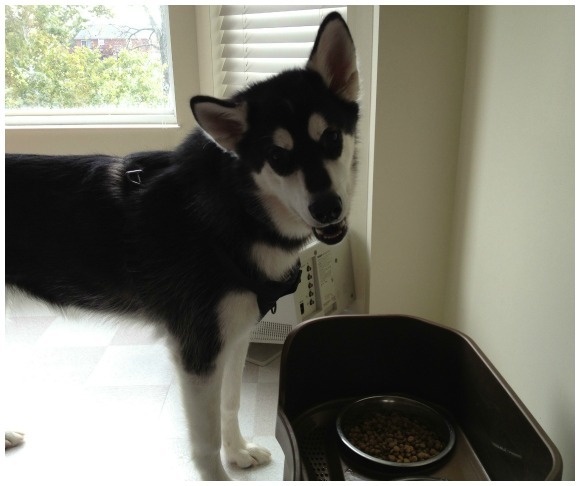 Dogs usually wolf down their food but Reya now sits down and actually ENJOYS it. For my food motivated dog, that was a huge change. I have never heard of this, so glad I found out about it….our Husky has pretty bad food allergies. You have beautiful dogs. I've never heard of a service like this. Our miniature Dachshund has pretty nasty allergies. I would love to check out their products. I like that they ask you questions about your dog.about her breed, weight, age, allergies, and her favorite foods. I also like they show a full write-up of their recommendations (including portion size!) and let you see all the ingredients in your dog's food.recommended and give you a reorder date. I have only recently learned about Petbrosia, although I have never purchased yet. I have been extremely concerned with all the bad dog food in the news lately, but this one actually does sound good. I also like the idea of it being delivered. Very convenient! This all sounds quite wonderful, however. I don't have a dog. I do have two cats, so I am extremely interested in the Petbrosia catfood selections, both of my cats are age 9. I have always tried to buy my Boston Terrier the healthiest foods available, but I've never heard of Petborsia. I'm going to have to check them out. I have a 15 year old dog we rescued a few years ago. When she came to us I had no idea of her past health history. I am very cautious of what types of food all my pets consume and buy the best quality product I can find and afford. Unfortunately, she has acquired an itchy dry coat partly do to age and partly do to the poor nutritional value of the "quality" food I purchase. I would love the opportunity to see what Petbrosia would do for my 'ol girl. Thanks! This review was great, thank you! I am trying to find a food that is affordable and good for my pup and cat. They are both picky with senstive stomachs so it tends to be hard…thank you for the review and giveaway! I had never heard of Petbrosia before this. What a wonderful idea! With a team of sled dogs of all different ages, we often have to buy several different kinds of dog food to meet their needs. i love that they formulate food exactly for your dog by asking you questions. who else knows more about your dog than you do, after all. the write up they send you is a big plus for me because, as you said, it even tells you about portion control. i am never sure exactly how much food my dog should be given and this would let me know for sure. 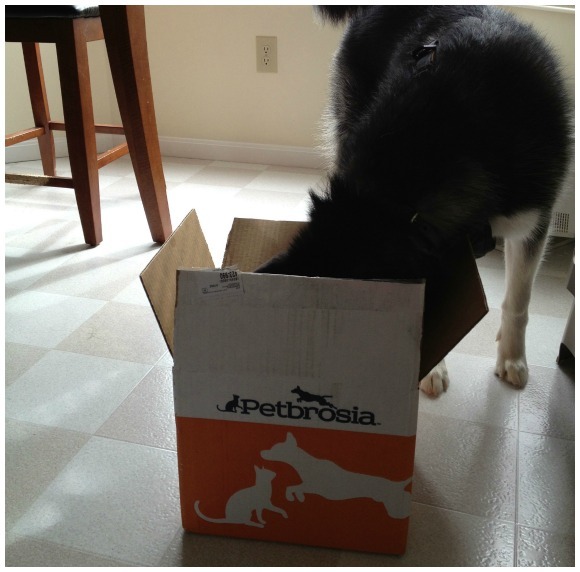 I love the Petbrosia food is all natural and specifically formulated for my fur baby. It lets me know that they are getting what is best for them. Which is a good feeling. I'd love to try this for my dog! I'm sure he would love it and I would love that it helps him stay healthy. We have a little puppy. She is still eating puppy chow. I don't know what kind of dogfood she'll eat when she's older. We've only had her a month. So we've been very busy trying to teach her manners, potty outside, etc. It's nice that they evaluate the dog's needs! Sounds like a really good company! Every dog owner should be reading this.Just giving a dog cheap kibble and on sale canned food is a cruel thing to feed your companion. Love this article, we have 3 dogs, and am always looking for better food for them. Thanks for this ! There’s an Amazon local “groupon” circulating right now to try this food at a reduced amount. What a neat company, I love that the food is formulated for each dog.